Talking about F1: The F1 blog: Austrian GP Betting Preview - Clear view in the Styrian hills? 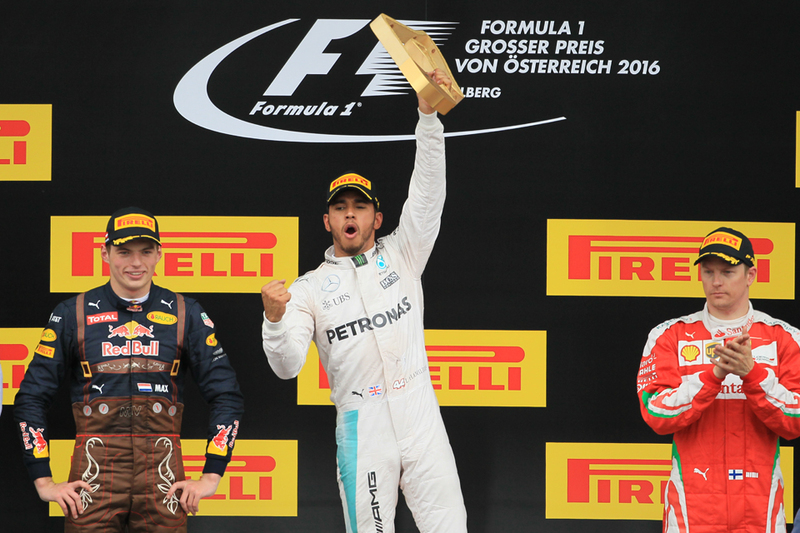 Austrian GP Betting Preview - Clear view in the Styrian hills? Lately, for the first time in 2017, we perhaps are getting some clarity at the front in F1. Ignore Baku's hoo-ha, for our purposes the big steer therein is that Mercedes dominated on pace and the best Ferrari was upwards of a second off Lewis Hamilton's pole time. Merc also got a one-two in the preceding race in Canada. And this weekend's challenge in Austria - mostly straights and tight turns - is similar to those. To some extent this is reflected in the odds, yet 9/10 available for Lewis to win the Styrian race and 7/10 for him to get the pole may still be worth your while. However Lewis at the Red Bull Ring in qualifying at least hasn't always had the happiest time, as in his first two visits after F1 returned in 2014 he botched his final Saturday effort. With this, how about his team mate Valtteri Bottas takes advantage to pinch pole? You can get 9/2 on him to do so. Times in Austria often are close - due to a short lap and a layout that doesn't discriminate as much as others between good and not so good aero packages. And you can get 13/8 on there being a pole winning margin of less than a tenth of a second. Red Bull has been in improved form in recent rounds and went surprisingly well here in 2016 at the track that bears its name. Max Verstappen finished second and was within six seconds of the winner. The 14/5 for him to get back on the podium this weekend - and 3/1 for Daniel Ricciardo to do so - therefore look rather generous. Williams has a good record here, while Lance Stroll's recent upturn in form has been sharp. The Austrian circuit meanwhile will be the first this season that he has prior experience of. You can get 13/2 for him to finish in the top six, or 4/5 for him to get points. As well as being close, this round can provide unusual competitive orders. With this in mind, you can get a tempting 16/1 on Pascal Wehrlein to finish in the top 10 this weekend, just like he did last time out in Baku, and just as he did indeed in the Austrian race 12 months ago. Similarly Haas showed up well here last year, finishing seventh and 11th, and either Haas pilot can be got at 2/1 for a points finish this year. All odds quoted in this article were accurate on the Oddschecker website at 1155 GMT on Wednesday 5 July 2017.